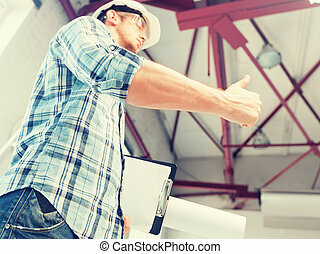 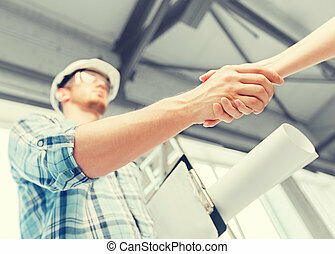 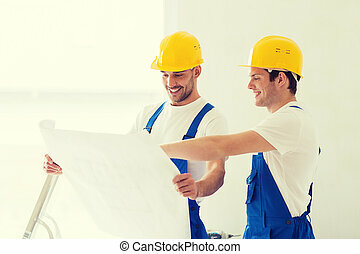 Builder with blueprint shaking partner hand. 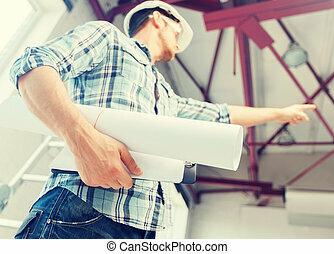 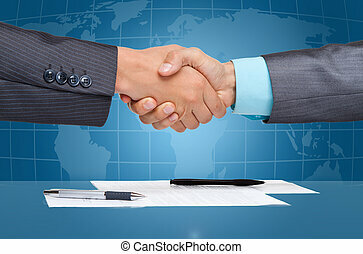 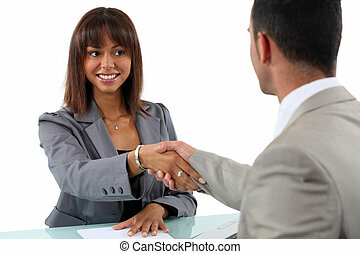 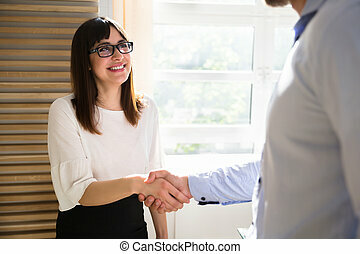 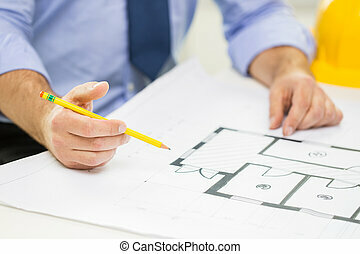 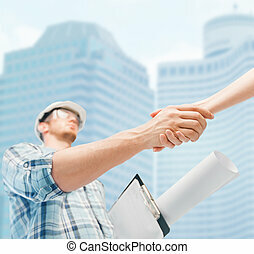 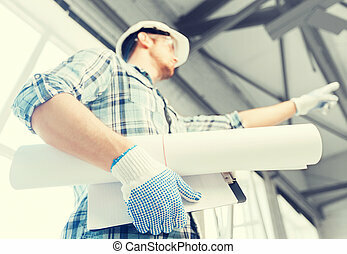 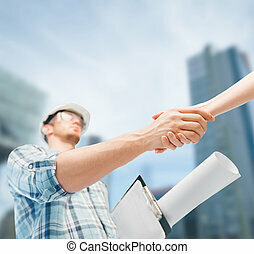 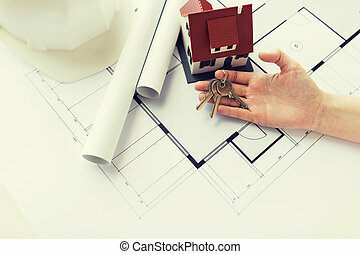 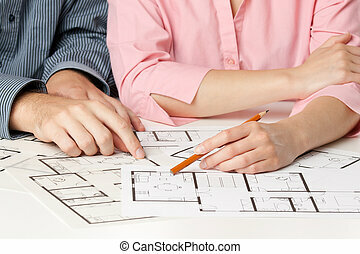 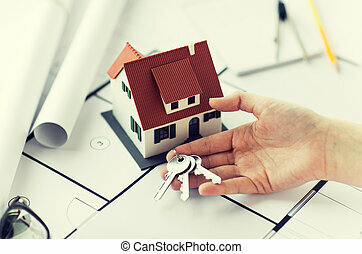 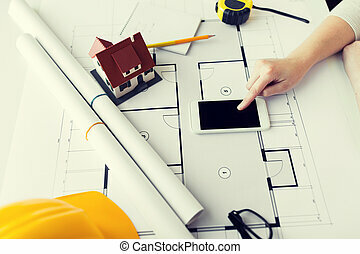 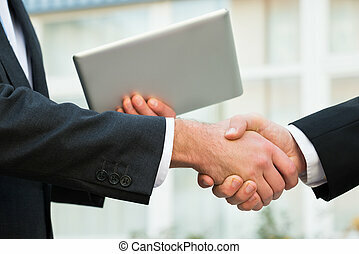 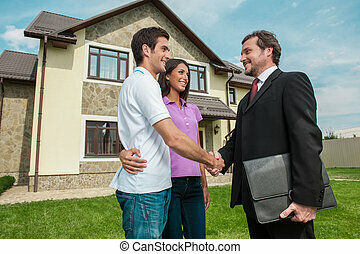 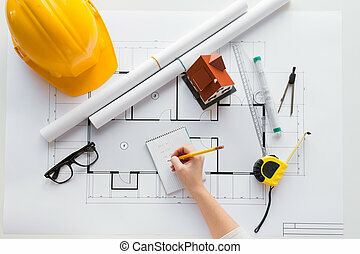 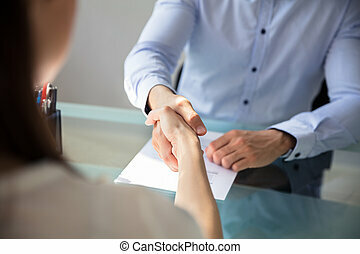 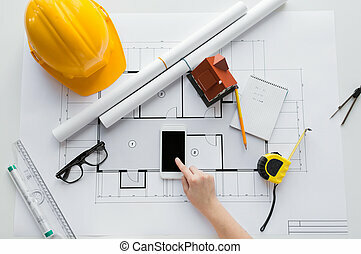 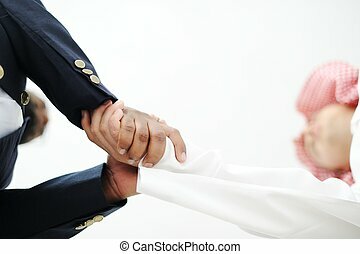 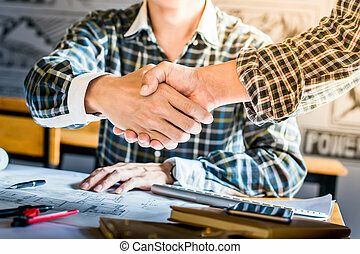 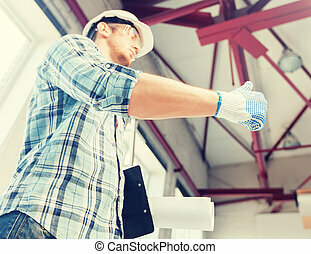 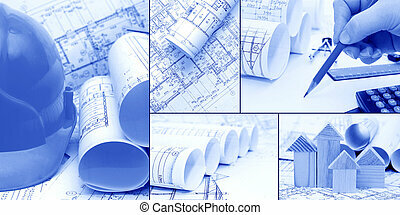 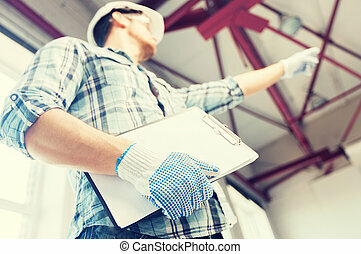 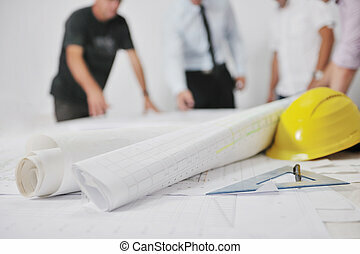 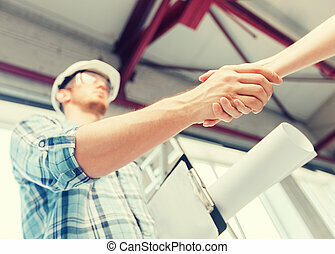 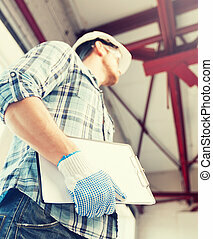 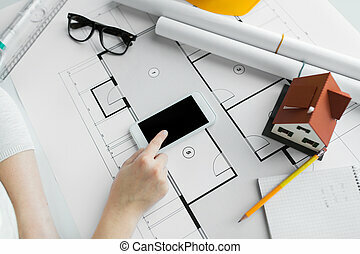 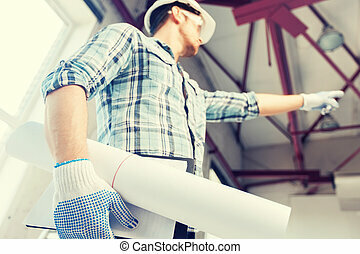 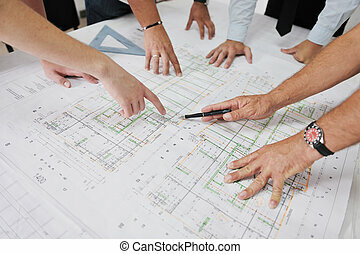 Architecture and home renovation concept - builder with blueprint shaking partner hand. architecture and home renovation concept - builder with blueprint shaking partner hand in retro style. 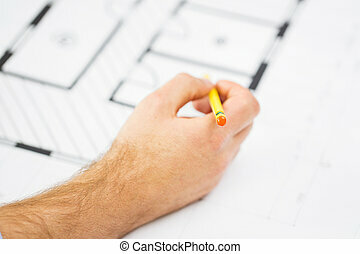 Human hand pointing architecture on the house blueprint. 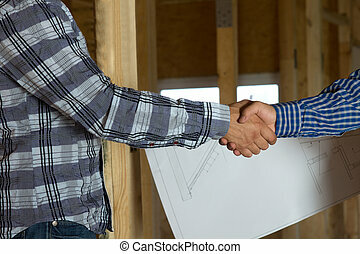 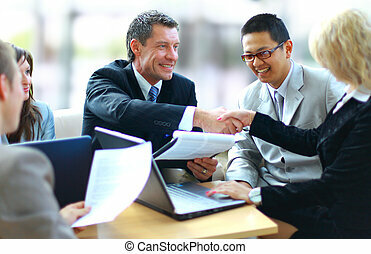 Close up Architect and Client in Both Long Sleeve Shirts Showing Handshake with Blueprint on Background. 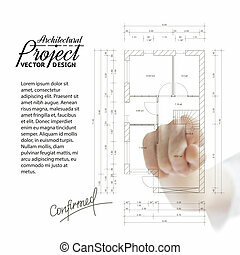 Emphasizing Approved Design.